I can’t believe how long it’s been since we’ve made risotto – it seems like we used to make it all the time. This recipe is for a creamy version that’s delicious and easy to make. Like most good things in the kitchen, it just takes a little time and patience. Add 4 Cups Chicken Broth in 1 Cup increments, stirring until almost completely absorbed in between additions. And, you can always add more cheese! 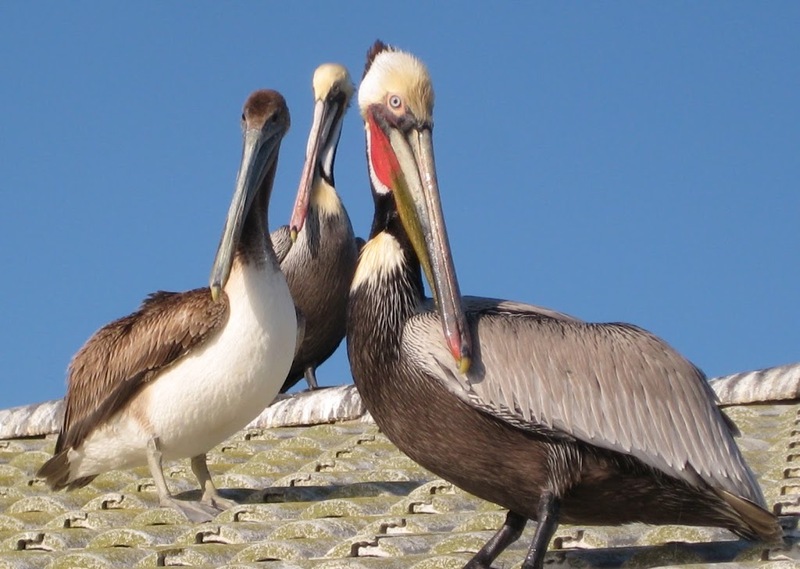 Love the pelicans – especially the one that is giving the world “the eye”. 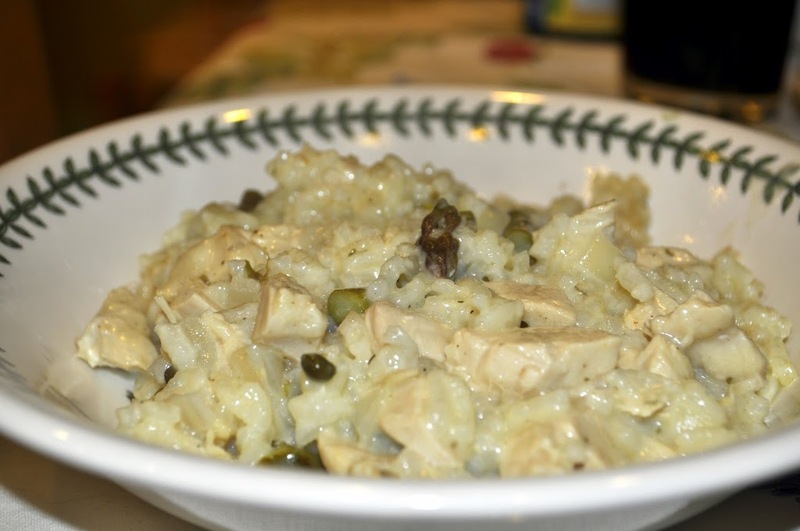 Yours is the second risotto post I’ve read this afternoon. It sounds magnificent…I need to put Arborio rice on my shopping list! Risotto is getting higher and higher on my list of ‘must cook’ foods. Yours sounds delicious. I love the birds! They look like a gaggle of women who are pursing their lips with contempt at being disturbed! I’m on a rice free diet, craving it, and made the mistake of coming here now and saw THIS. Oh my. 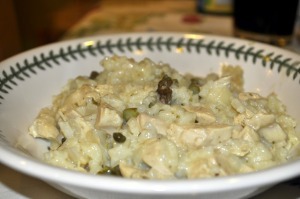 I adore Risotto and this looks so good. It on my reward night list now! 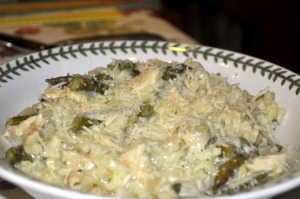 MMM hmmm..
Hi Susan, I love risotto and your pairing of chicken with asparagus sounds delicious! Besides, cooking with wine makes almost anything good :). I see in another post that you mentioned growing up in Italy – lucky you! It’s my dream to move there long-term and always fun for me to meet others who share my love of Italy. Have a great weekend!